Inclusive Education Teachers (IET) – provide a consultative service to support schools, teachers, parents and other professionals to enable students with disability to access and participate in the curriculum. 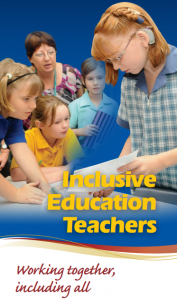 Inclusive Education Teachers specialise in the areas of hearing impairment, vision impairment, intellectual impairment and Autism Spectrum Disorder. 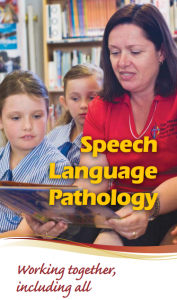 Speech Language Pathologists (SLP) provide a consultative service to schools, teachers, parents and other professionals to enhance the spoken language skills of students. The Speech Language Pathologist supports school communities to identify and plan for students with significant educational needs arising from speech and language difficulties including identification of students with disabilities in the area of Speech Language Impairment. 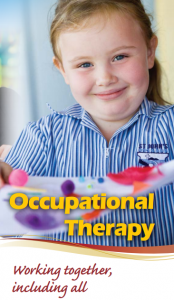 Occupational Therapists (OT) provide a consultative service to schools, teachers, parents and other professionals to enhance the independence and participation of students within the school environment. Occupational Therapists work with a range of students including those with disabilities. 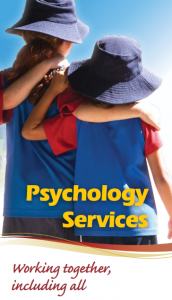 Psychologists in school settings primarily provide support in mental health, thinking/reasoning and learning, and the associated social, emotional and educational impacts. 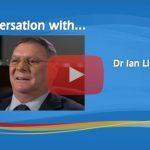 They provide a range of services to improve students’ well-being and participation in all aspects of school life for optimal educational outcomes. The School Counsellor role has a focus on fostering the development, mental health and resilience of all students, including those considered at-risk and those with special needs. This focus is achieved by applying guidance and counselling skills through direct and indirect processes and through systemic and individual interventions – thus contributing to equitable educational access, participation, and outcomes for all students. The School Counsellor is a certified professional who works in partnership with the school by contributing specialised knowledge and skills in a collaborative, collegial manner.